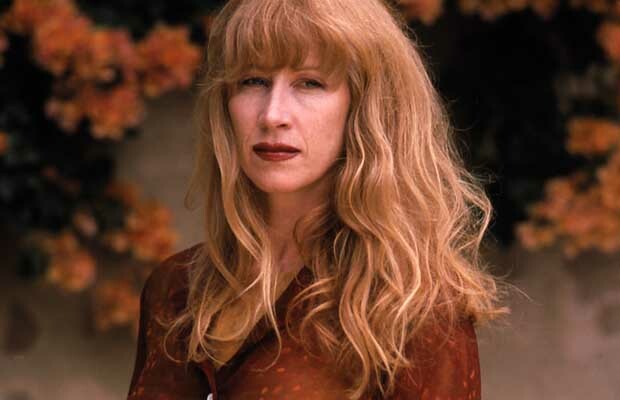 Renowned for her multi-textural musical arrangements and dynamic voice, Loreena Isabel Irene McKennitt was born on February 17, 1957, in Morden, Manitoba to Irene and Jack McKennitt. Even though Loreena Mckennitt initially desired to become a veterinarian, she developed a passion for music; especially Celtic music and subsequently took up learning the Celtic harp. Before she knew it, she was working to accumulate money to release her first album. Her first two albums were, “Elemental” (1985) and “To Drive the Cold Winter Away” (1987) which comprised of Christmas tunes, but it was her third album which proved to be the breakthrough of her career. “Parallel Dreams” was released in 1989 and sold more than 40,000 copies in just under four months. McKennitt’s next album, “The Visit” was released in 1991 and yielded an even greater success than “Parallel Dreams”; its sales totaling up to more than 600,000 copies in Canada. Both “Parallel Dreams” and McKennitt’s next album, “The Mask and Mirror” released in 1994, earned her Juno Awards. Her fame soon spread to America and subsequently with her album, “The Book of Secrets” released in 1997, she established herself as an exceptional musician both amongst audiences and the critics. Loreena Mckennitt’s lyrics are often inspired from the poetry of people like William Blake, Alfred Lord Tennyson and W.B Yeats. Her talent for blending different genres of music and instruments like Turkish Clarinet, Kanoun and Bouzouki with guitar, piano and drums, sets her apart from many others in her field of work. McKennitt’s music has also been a part of numerous television shows and movies including, “The Santa Claus”, “Tinkerbell”, “Highlander III”, “Northern Exposure” and “Due South”, amongst many others. Unfortunately McKennitt was struck with tragedy following the death of her brother and fiancée both of who were killed in a boating accident. She happened to be working on her next album during that time and took the loss hard. However she soon released her album, “Live in Paris and Toronto” in 1999 and gave all the proceeds to the Cook-Rees Memorial Fund which she set up for water safety and security initiatives. Following this, she reduced public appearances, concentrating more on her recordings. In 2006, she released her album, “Ancient Muse”, which was also met with much appreciation. The striking thing about McKennitt’s music is the amount of research she invests in before working on any album. Before starting work on her album, “Ancient Muse”, McKennitt researched and read up on the various cultures across the Silk Road. Similarly, her album, “The Mask and the Mirror” came after her trip to Spain where she researched and studied Galicia. Some of her recent works include, a DVD of her live performance in Alhambra, titled “Nights from the Alhambra” released in 2007 and “A Midwinter Night’s Dream” released in 2008 which included an extension of her short album, “A Winter Garden: Five Songs for the Season” released in 1995. In 2009, she released her album, “A Mediterranean Odyssey” which contained two discs; the first was titled, “From Istanbul to Athens” and hosted songs made in her Mediterranean tour, and the second was titled, “The Olive and Cedar” which comprised of her recordings made during 1994 to 2006. Most recently in 2010, she released the album, “The Wind That Shakes the Barley”. Apart from being a musician, Loreena Mckennitt is also a successful businesswoman and has her own recording label. She has won numerous awards and as well as have received several honorary degrees.